I am aware that there has been a cluster of negative news stories and a new state department travel alert regarding violence in the destinations of Cancun and the Riviera Maya as well as other parts of Mexico. As a resident of Mexico and having lived in Cancun for over 22 years, I would like to address these concerns about safe travel to this destination, since Quintana Roo is my area of expertise. Although my livelihood depends on tourism, especially from the US, I would not be willing to jeopardize someone else’s well-being for the almighty dollar nor would I continue to live in Cancun if I did not feel secure or could not live a full and free life. I am from New Hampshire and just returned from my annual vacation there to visit with family in the rural and picturesque Lakes Region. It is true that while in NH I never once thought about safety issues like I do while in Cancun. 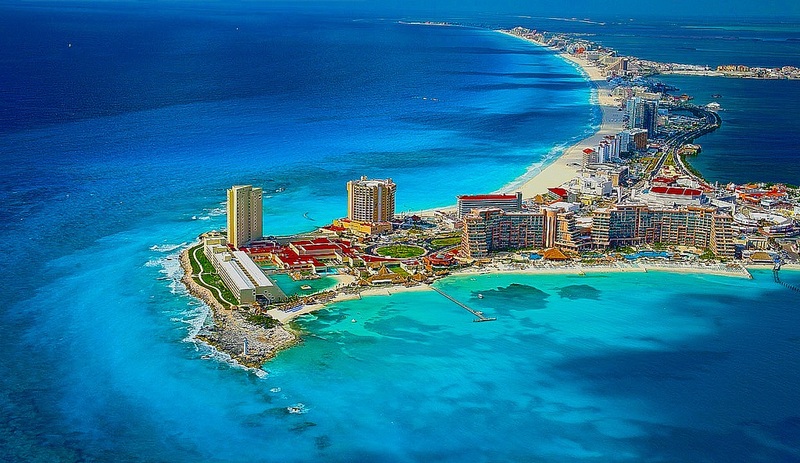 However, Cancun itself is a sprawling city with roughly 1 million inhabitants, the majority of which are dirt poor compared to US standards. I make my house a fort with high walls and electrical fences. However, I am not concerned about being kidnapped or murdered, or being stopped by fake police or corralled in false check points. Rather, I am more concerned about being robbed and home invasion as anyone would in any large city around the world which features a large, poor population. The alert, I feel, while well written, conflates all crimes that are happening throughout Mexico. You cannot arrive to the specific alert about Quintana Roo state without being somewhat horrified about what you have read about Mexico as a whole above. Citizens of the US are not being targeted for hostage taking in my state nor are they being killed in drug related violence in any statistically measureable numbers. Trust me, more tourist die here annually from falling off balconies, drowning in the ocean, traffic accidents, or by natural causes such as heart attacks. It is true there has been a spike of murders in the state as a whole, but the alert does not offer any statistics, which leaves you to come to your own conclusions. It may leave you with the impression that this is the wild, wild, west which it truly is not. The murder rate is 20 per 100,000 for the entire state, which is less than some major US cities on their own. So what is going on here? There are rival cartels battling for distribution points and the people who are being killed are the poor teenagers who are referred to as grasshoppers; they have no loyalty to either cartel and jump from side to side. They are being killed in a very pointed way…almost execution style at point blank. Unfortunately, and especially in Playa del Carmen, this is happening sometimes in public places where tourists would be near discos and clubs which are often times coerced by one cartel or the other to allow the distribution of cocaine and other illicit drugs. The same is happening in the outlying city areas of Cancun and Playa del Carmen at establishments catering to locals. I agree this is all unseemly. But there is a simple solution to keep your group attendees safe. Until this situation is remedied, and there has been a lot of progress in this destination in particular to get this under control, I propose avoiding late night visits to night club areas. Nobody is going to be in danger during their journey from the airport to their hotel, visiting one of our fabulous parks, or learning about the fascinating Mayan culture. Highway 307, the only roadway that connects Cancun, the airport, and the Riviera Maya, is the most fortified and secure highway in all of Mexico. 5th Avenue in Playa del Carmen is still available to your guests but I suggest after dinner, for this immediate time only, it is better to return to your hotel rather than participate in clubbing. I am encouraged that the authorities are making progress. The leader of one of the cartels has been captured and a “Guliani” figure has been brought in from Tijuana to lead a task force to help restore normalcy. There has been a house cleaning of corrupted police officials and more federal supervision is now in place. I hope my summary of this situation is useful to you and you receive it without bias. Please offer Cancun and Playa del Carmen the same love and support you would to Barcelona and Paris. It is a random world we all live in these days, but steps are being taken to control what we can in this destination. We look forward to seeing you soon in this sunny corner of México! Do you think this article is interesting? Share it.